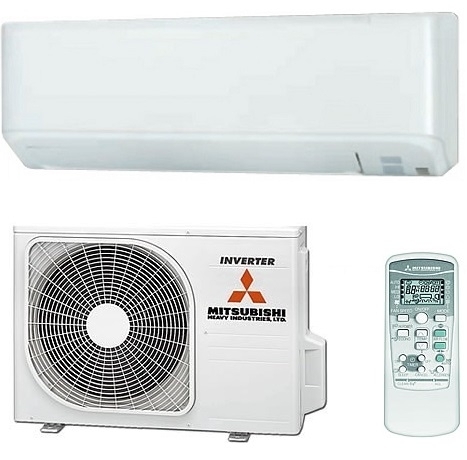 Designed to heat and cool rooms up to 50 square metres the Mitsubishi SRK45ZSP-S comprises s stylish indoor wall unit with hand held remote control and an outdoor compressor unit. These systems are full air source heat pumps and air conditioners and hence can automatically switch between heating and cooling mode to provide constant temperature control to rooms they are controlling. All features of the system can be controlled via the hand held remote control which included a timer facility and a sleep mode to operate the system at a lower fan speed during sleeping hours, which is particularly useful if the system is used in a bedroom as an example.